We all know that fashion is cyclical, and in the stylish adventure that is second-hand shopping, there’s nothing quite like finding an item that is genuinely from another time. When it comes to finding vintage clothes, there are a few hints that can help you keep an eye out for the real thing. Metal zippers, especially those that are bare metal, are a big hint. Also, look out for 100% natural fabrics, such as cotton, or 100% synthetics—there seem to have been fewer blends in the past. Of course, the most obvious indicator is sometimes the label. Clothing labels show their age both in design and material—if it looks and feels old, it probably is. If there is no label at all, the item might be homemade, yet another trend that’s gone the way of the girdle. Each one of these summer party-ready dresses are at least 25 years old, some much older. Just more proof that some styles can be timeless! Dress still had original tags on, never worn! Check out that date! Aug 31st, 1973. 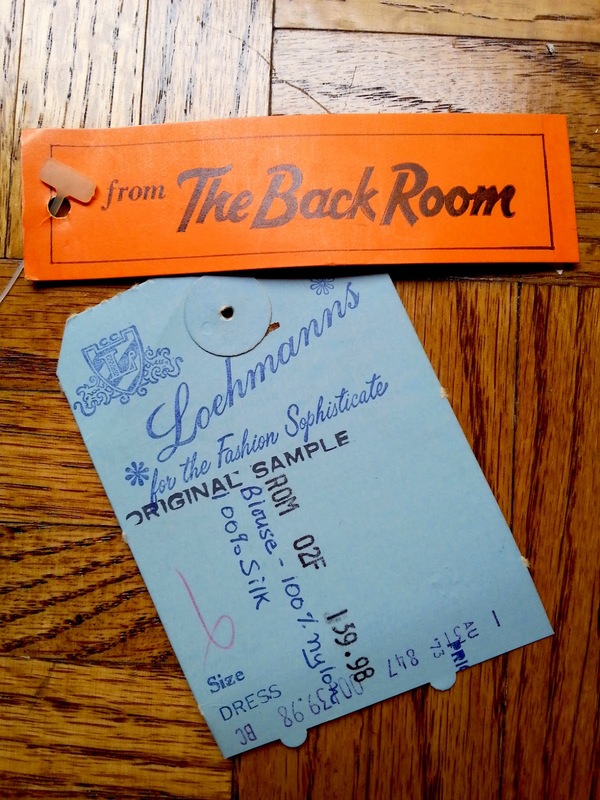 Also, the back of the tag says the dress is not returnable.